Posted by Stuart Herbert on November 1st, 2010 in Desktop Wallpaper, Travel Photography. Berwick upon Tweed is a beautiful town nestled within medieval town walls, halfway between Newcastle and Edinburgh. Famous for its history in the border conflicts between England and Scotland, today it is a popular holiday destination for tourists looking to explore the Scottish borders and stunning coastline both north and south. 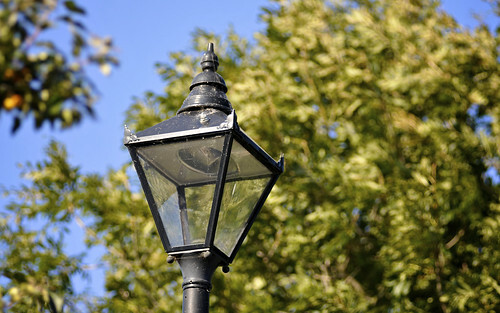 This is one of the street lamps from the town, taking during a short Sunday afternoon exploration. The trees framing the lamp really caught my eye, and add depth to what otherwise would be a difficult subject to make interesting.